The language of love. The language of trade. A leading language of the United Nations. A major language of the European Union. There are many reasons why you might want to learn French; so if you are looking to learn French, this is the post for you. I’ve said this a bunch of times in a bunch of posts, but the best way to learn how to speak a language is to actually speak the language. Read on for my thoughts for anyone who wants to learn French. My blog posts are generally geared towards people looking to learn on their own. If that’s you, then chances are that you’re not in a class room environment, and you’re not in a French-speaking country. But fear not…. You can always talk to yourself in French. Ask yourself whether you’d like a glass of wine. Pour yourself a glass of wine. Try to express yourself however you can, and try to speak out loud. Talking to yourself is a great way to learn French, and one that minimizes the angst many people have when speaking a foreign language. This is not one of those high-level posts that gives super generic advice like “set a goal” and “stick with it”. That said, you do need to, um… set a goal and stick with it. But when it comes to learning French, set specific goals. Are you studying French for an upcoming trip? Is a business colleague coming from France? Are you looking to attend a play or watch a movie in French? Your context for learning French will lead to different goals you’ll want to set. For example, if you’re traveling to France for a vacation, you might want to focus on travel-related phrases and signage. 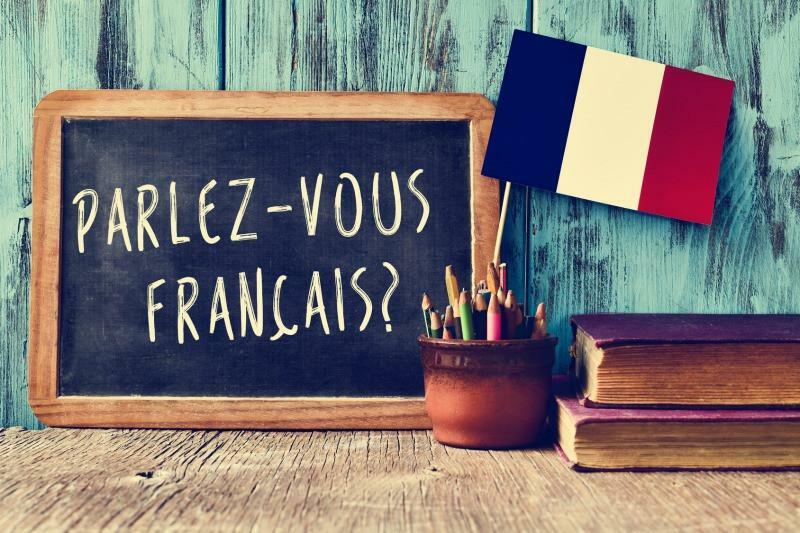 If you’re learning French for business reasons, you will want to focus on very formal, business phrases and make sure you get a healthy dose of culture. This is a more in-depth version of “practice every day”. Actually, I take that back, as I prefer to measure outputs, rather than inputs. If you want to learn French, it might be tempting to say, “I will study for 30 minutes every day.” That might not be appropriate or even realistic, though. A better goal might be: I will learn five new phrases each day, and try to memorize 10 new words. This way, you’re focused on the quality of your output, rather than the input of your time. As I said in the beginning of this post, if you’re looking to learn French and you’re reading this, you’re probably studying on your own, and you’re not in a French-speaking community. So how do you practice your French accent? The Internet! Check out Youtube for every-day French speakers, join online communities. Do whatever works for you, but find a way to expose yourself to real people speaking real French. Today’s proliferation of message boards means that you can always find a peer group to accompany you on your journey to French fluency.